Gerbur Aqua Click-Mahogany stands out for its beauty and luxurious good looks that convey the appearance of opulence. 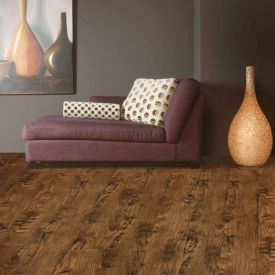 Mahogany is a warm and inviting floor that couples an age-old look with extreme durability and has the added benefit of being 100% waterproof. This tile with its embossed real wood texture and bevelled edging adds a touch of authenticity to any room.